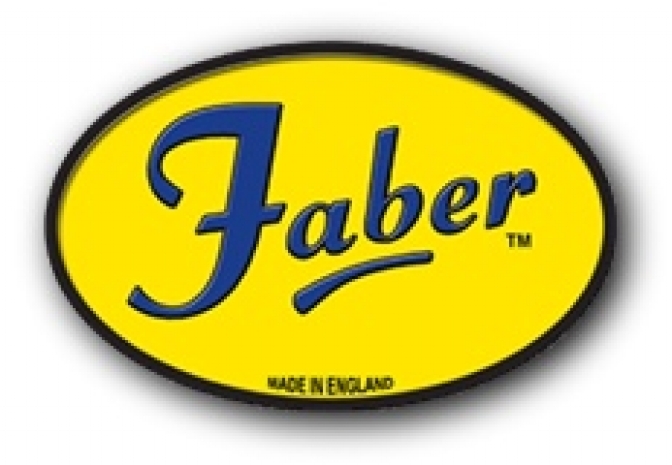 Temporary link page to Faber frames while the web site is reconstructed. 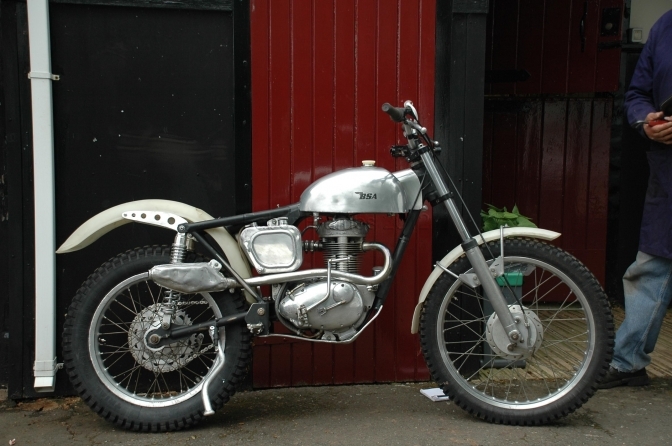 Profile: We are an England based company who are specialists in the reproduction of motorcyle frames & assicated items as well as engine tuning and bike preparation for vintage, Trials, Twin Shock, off road motorbike frames, accessories for competitions and Scramble Motorcycles to all of which we are dedicated. This Page is the temporary link page to Howard Fawkes at Faber Frames. Howard as experienced an IT crisis with the guy that constructed the Faber Web site. The site is missing at the moment. But Howard tells me it will be back up and running within the month, with a new web site builder. Or get in touch with me and I will pass on the message. Howard felt that without the web site online there may be rumors cast to suggest “Faber” were not still making the “Otter” frame kit. Or any more of their frames. And after a chat later with Howard I will be able to update you with his and the present, and future frame making aims from Faber Frames. 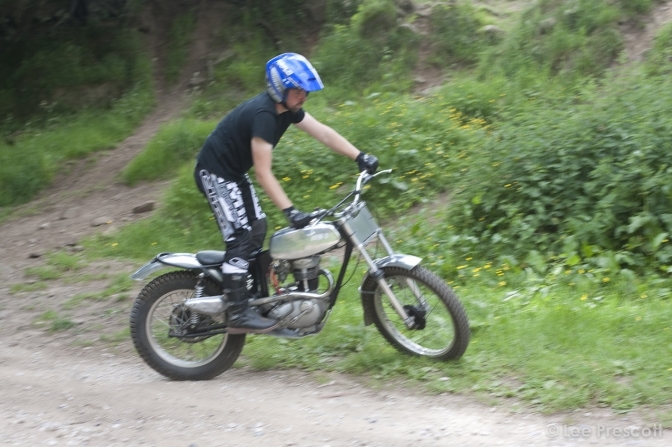 Martyn Kissack from the Isle-Of-Man riding his Faber Mk3 Framed BSA "Otter"
recently in Yokshire. 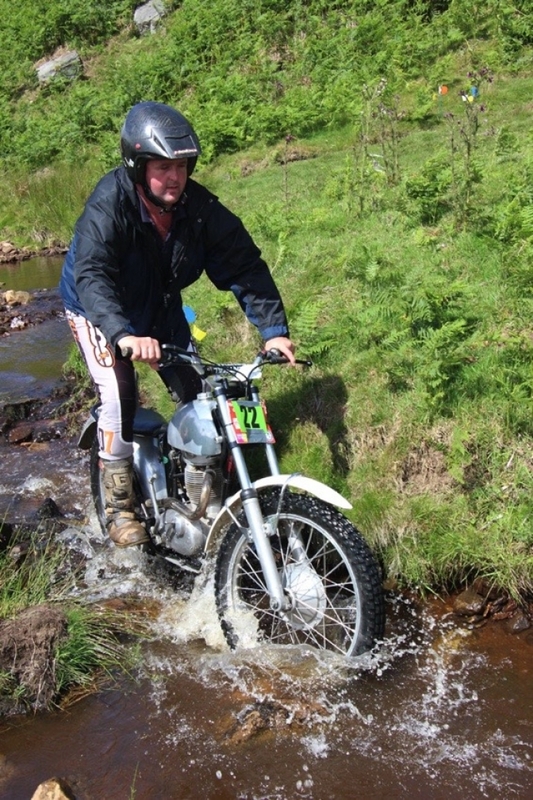 Photo Courtesy OffRoadArchives. Mk 3 Faber BSA frame to take C and B engines. 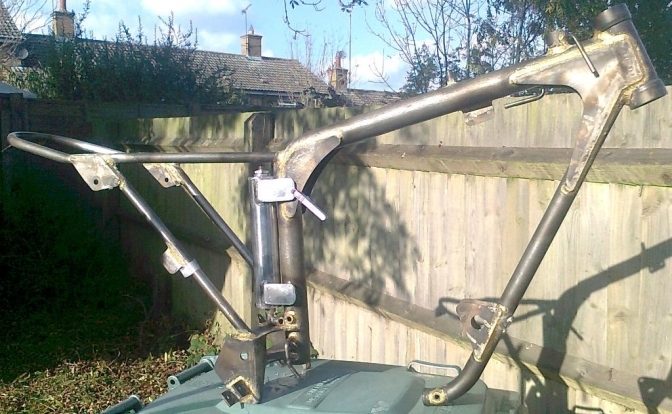 Mk 3 Faber Triumph Cub "Otter" Frame. 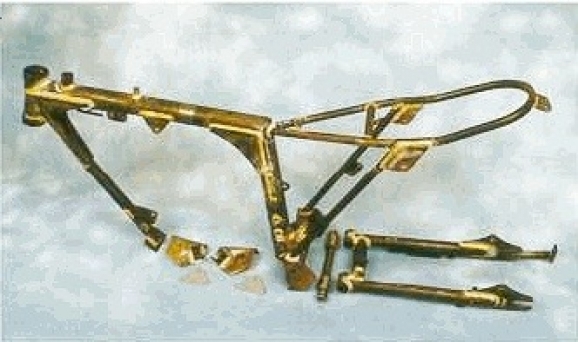 And the all time favorite MK1-2 Faber "Otter" Frame. I still think this is the best "Otter" frame Faber have produced, The "Mk ONE"
And the "Bariel" frame which Howard will build if pressed to, when he has time. £750. 2015. George Gorvett. MK3 Faber BSA. 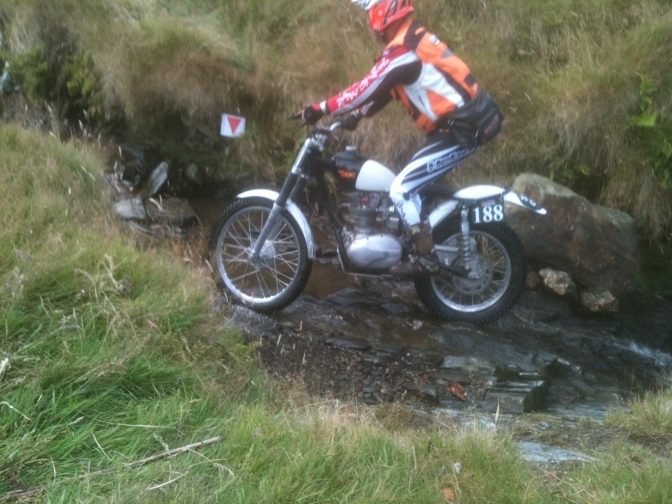 Saturday in the gulley Manx Classic trial 2015. Faber now have there website up and running again. I will contact Howard for inquiries if you cant get hold of him He is a busy chap.